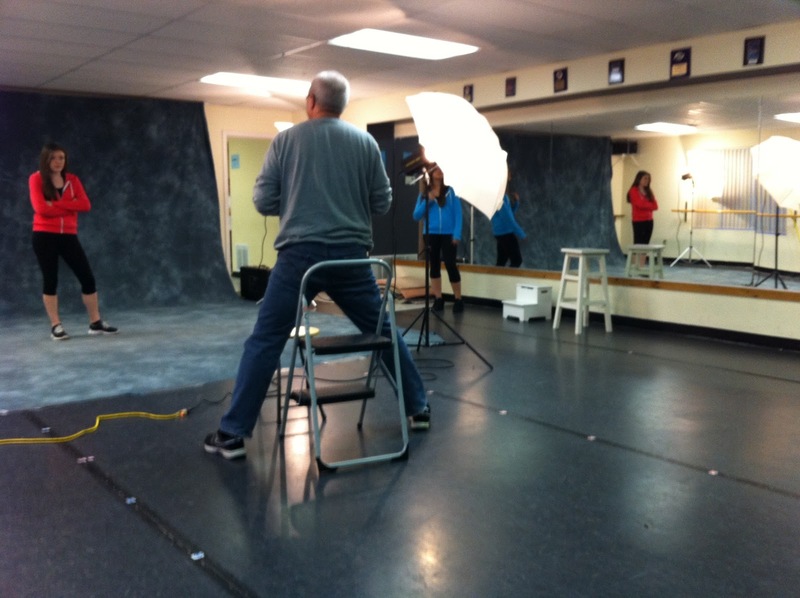 This past week was Picture Week at our studio. We have too many students to hold just one day for pictures, so we take class pictures during everyone’s class time for one week. 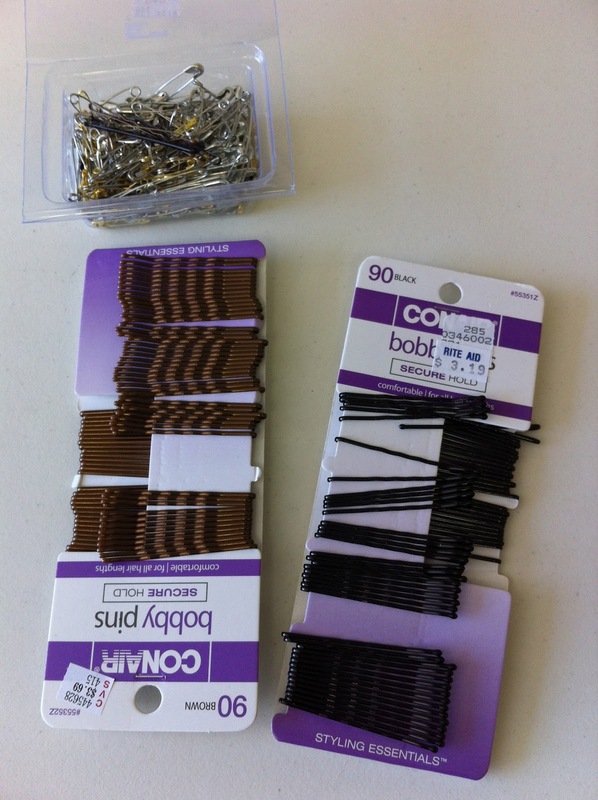 Got all stocked up on safety pins, bobby pins and hair spray in case anyone forgot to do their hair or fix their costumes (there’s always a few!). Our photographer sets up his backdrop and equipment in our biggest studio. We take a group photo that will be hung up in our studio and then anyone who wants to do an individual photo also gets their photo taken. We also do sibling photos and smaller groups if the parents request it. Pros to having a photo week v. photo day – It is more convenient to the families and we have better attendance for the group photos. Not having it on a weekend is one less weekend in April/May to fight against graduations, proms, concerts, Mother’s Day, etc. 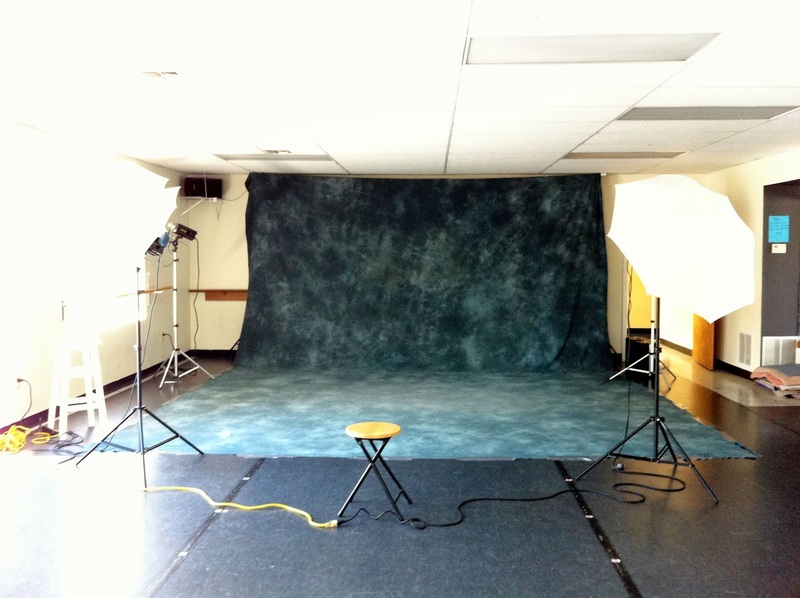 Cons – For many of our classes, this means that we lose a class to picture day. 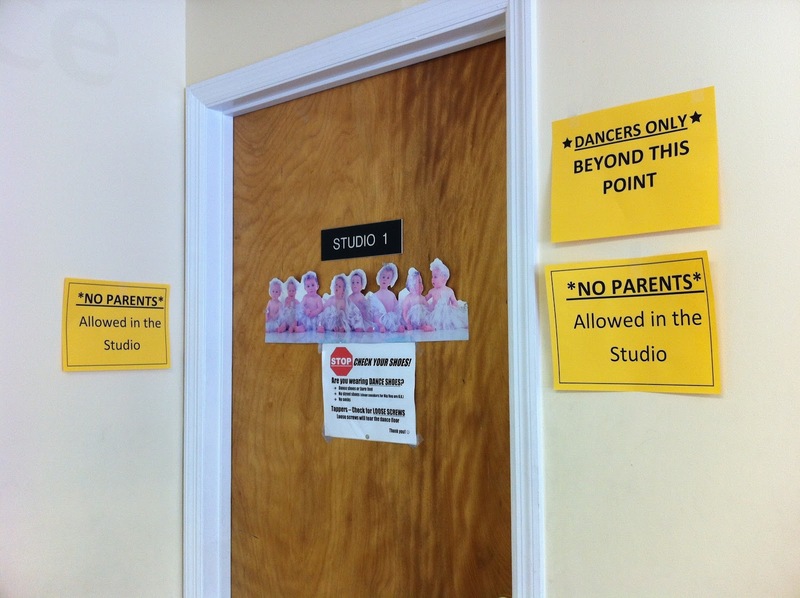 With some of the smaller classes and baby classes who don’t do much moving around with their dances, we can practice in the space leftover in the studio. Larger classes aren’t able to practice on picture day, so they just get their class picture, any individuals and go home. Being so close to the recital is tough to lose a class. 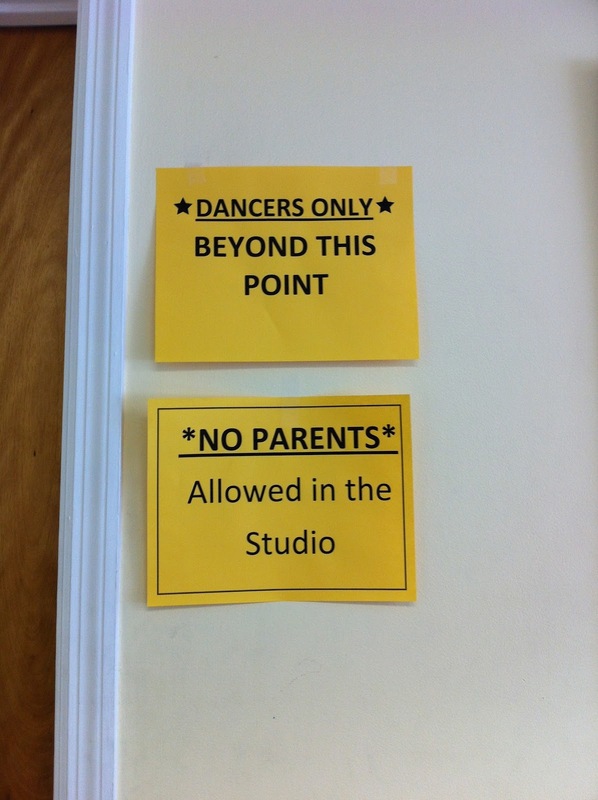 With many classes, it’s easiest if the parents don’t come into the studio – they can distract the students, and sometimes they try to sneak photos with their phones or siblings will run around. Some people just don’t read! I didn’t want to be rude, but its easier to get twelve 5-year olds to look at one person instead of all of their moms and dads! 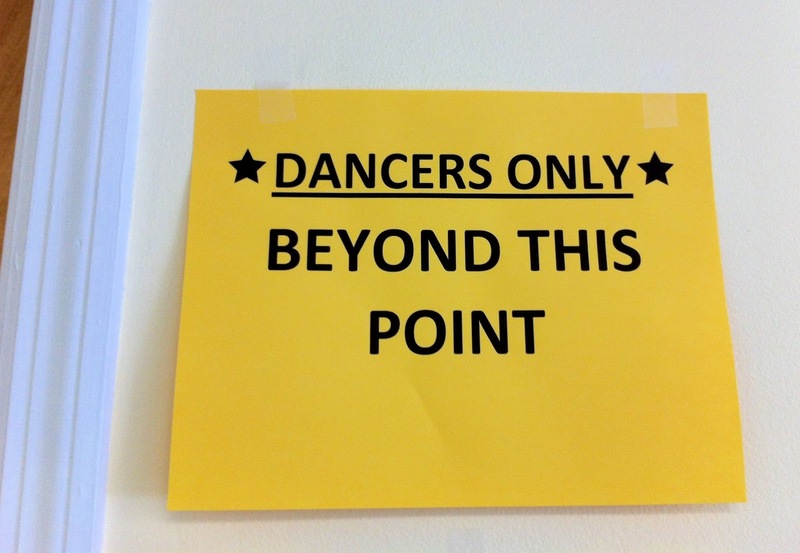 Our photographer prints out all the proofs and then comes back to our studio the week after our recital. 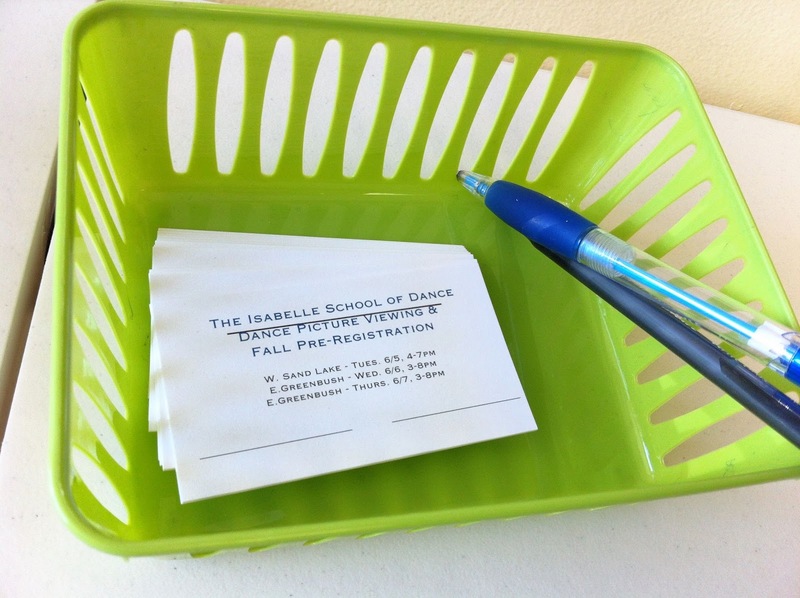 On these days (Picture Viewing), we also hold pre-registration in the other room so people can sign up for Fall classes while their minds are still on dance. 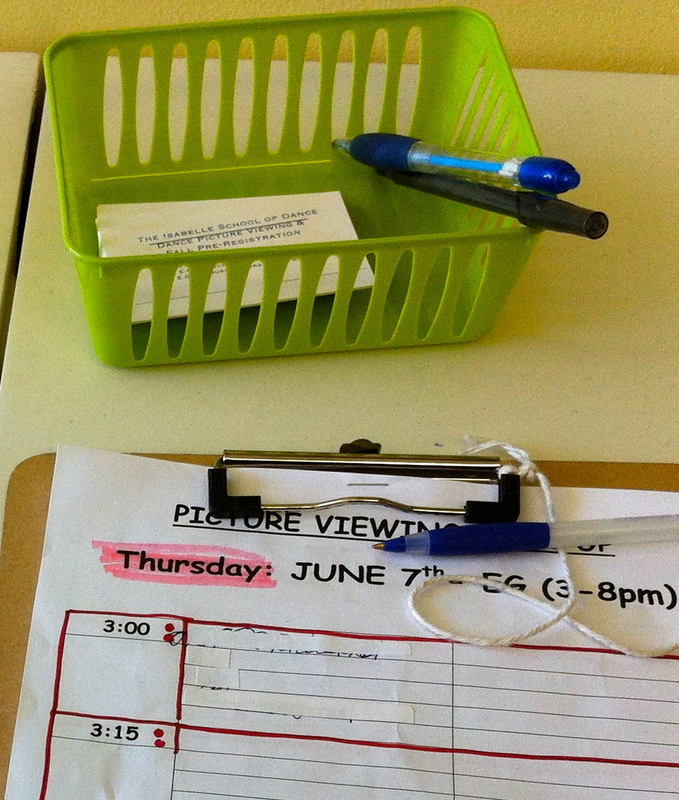 We put out clipboards for people to sign up for viewing times so that everyone doesn’t come all at once. This year I got fancy and made little appointment cards (using a coupon for 250 free business cards from VistaPrint – only had to pay shipping). Overall, it seemed to go well this week! Now onto rehearsal and recital! 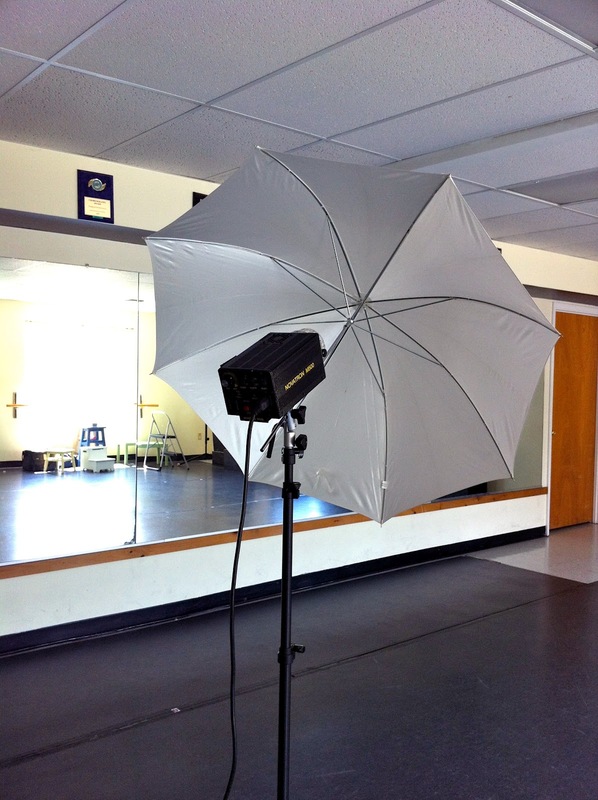 How does your studio do “Picture Day” or take class pictures? Leave a comment!